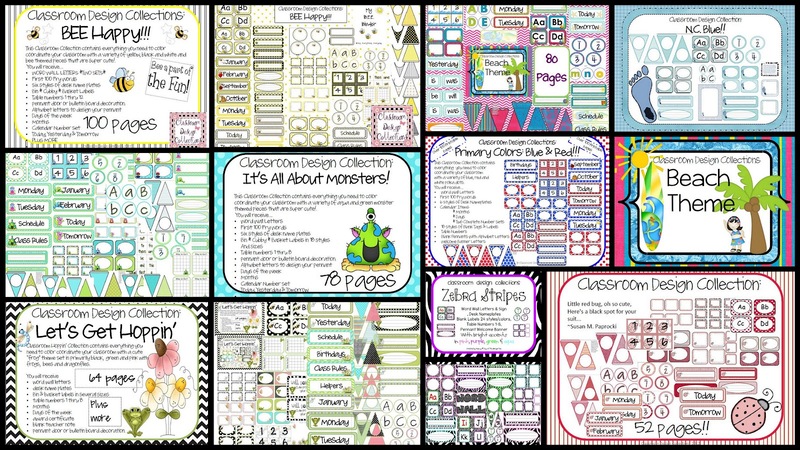 Back to School Blog Hop!! Join in the Fun!! 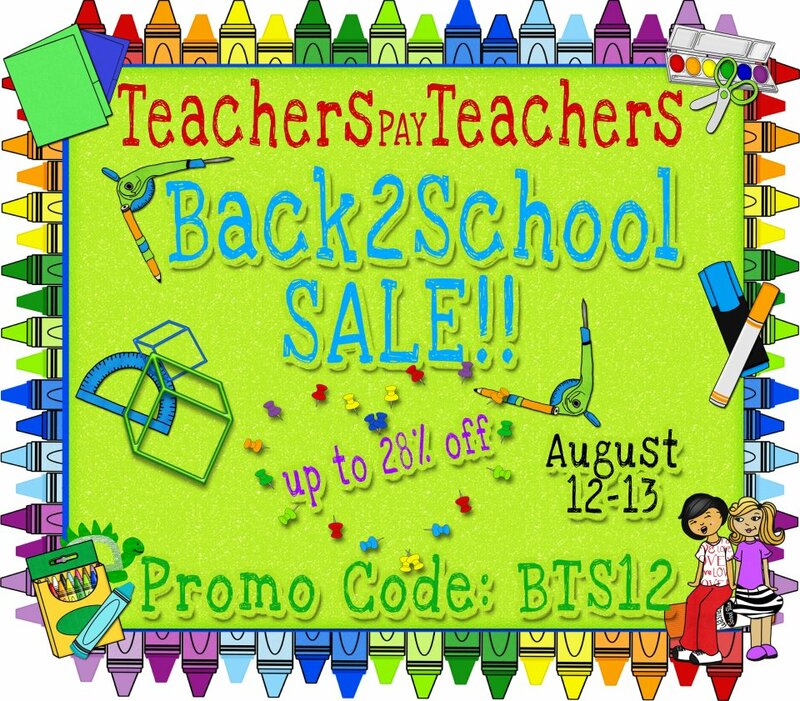 Great teachers are joining together to share some of their favorite back-to-school items, to get you set for the beginning of the school year! And the best news?This weekend is the big SALE!!! You can save from 10-28% on your favorite items!! Can you believe it? 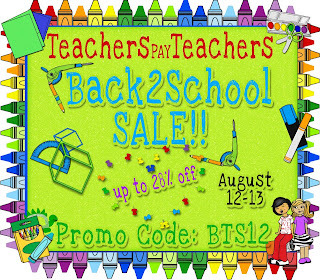 Don't forget to enter the promo code BTS12 to receive the biggest savings. 'To theme or not to theme that is the question'...lol. 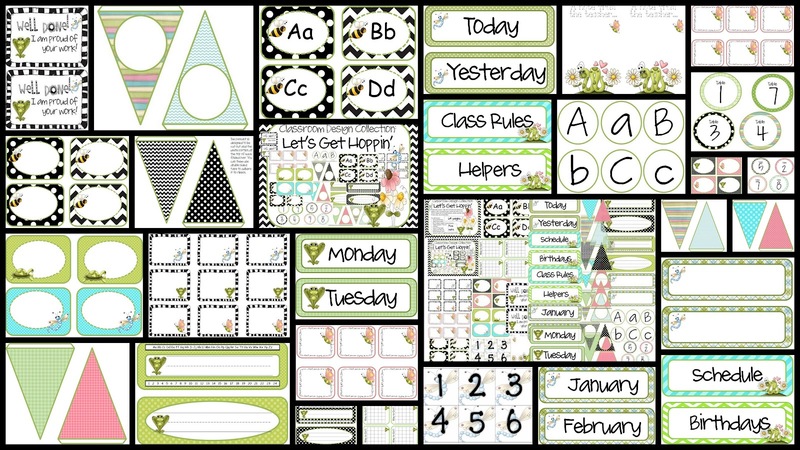 Themes are everywhere for back to school design and ideas. Teachers choose colors, mascots, animals, dots....you name it. 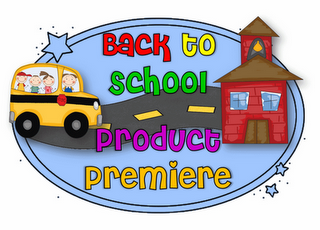 I have created several fun back to school theme sets that are available on TpT. Personally I feel there is something visually appealing to a themed classroom. It creates a sense of organization. I love labeling my cubbies, bins and baskets with the coordinating labels. It really creates a kid-friendly environment. When I am preparing my sets I laminate each piece using heavy laminate. It create a hard piece that will last for many years. You may want to use cardstock to print on if you do not have heavy lamination available. My favorite classroom set is the first theme I created. I called it 'Let's Get Hoppin'. I love the color combinations with the green, pink, aqua, and black. It was cute but not too girlie....cuz you all know those little boys do not like 'girlie'. Can't you just hear those little boys in your head saying "That's for girls", lol. I used the pennants and made three pennant banners in my class: 'I Can' where I post I can statements (a requirement at our school), Word Wall, and Group Time. To make a pennant banner I print one triangle for each letter and glue the letter using very light glue (just enough the tack it on). Laminate each triangle and cut. Punch a hole in the top corner of each triangle. To add a little flare I string my letters onto ribbon and then go back and add a coordinating ribbon tied through each corner. 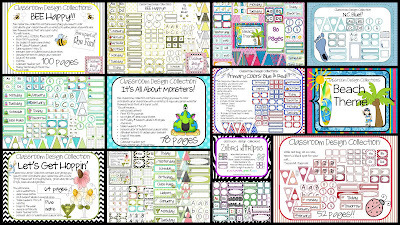 I know you will love all of the creative ideas and activities you find on the blog hop. 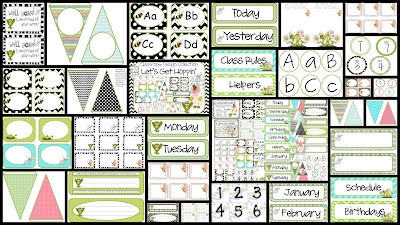 Teacher's Pay Teachers is my 'go to' site for classroom activities. I love that the items are 'tried and true' things that children enjoy! I hope you have a wonderful school year full of many blessings!! Enjoy the blog hop!! Can't wait for the sale! I love your blog design! I just visited your new blog Alexa, super cute! Your blog is very informative. WLCI school of advertising and graphic designing offers programmes & courses for graduates and undergraduates students. Love these Theme sets! Thanks for sharing!